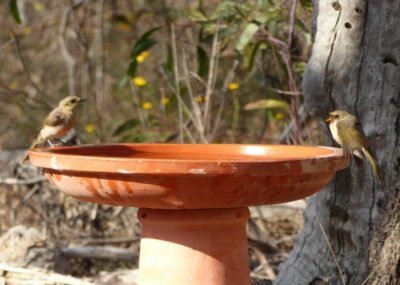 Bird baths provide a welcome retreat from the summer heat for a range of wildlife. 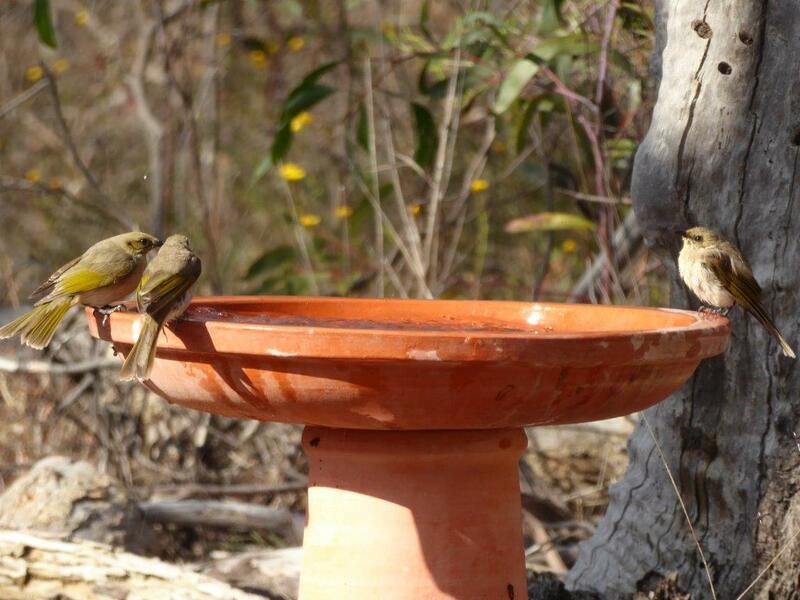 Depending on the size and location of your bath, you may be visited by tiny birds such as pardalotes, gregarious honeyeaters and rosellas, frogs and reptiles, or larger animals like echidnas and wallabies, as this previous story from local landholder Jane Rusden describes. 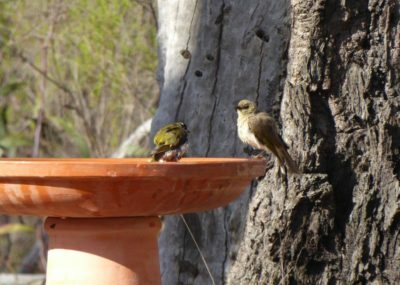 As many of you know a visitor to the bird bath can be a delightful and rewarding way to interact with wildlife from close range, perhaps from your living room or kitchen window. Washing up has never been so much fun! 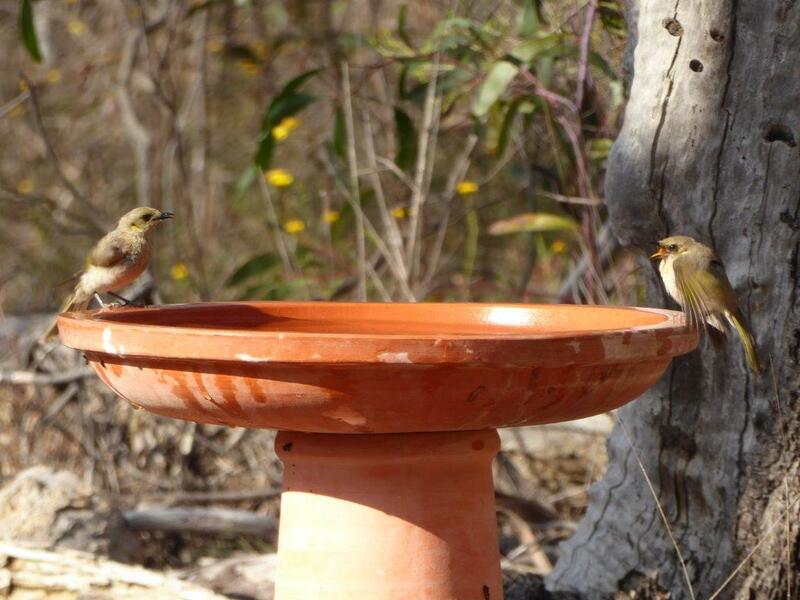 With more hot weather forecast we wanted to share a reminder to monitor water levels in your bird bath, especially during extended hot periods so birds don’t lose a water source they may be depending on. It’s also a good idea to ask a neighbour to refill your bath(s) if you’re going away over summer. 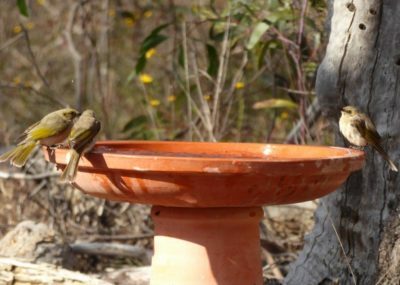 If you are considering setting up a bird bath or would like some tips on how to keep birds cool, healthy and safe from predators please read more here. Here are some gorgeous images taken recently by our Director Frances Howe at her bird bath near Castlemaine. Frances’ bird bath is on a pedestal and close to perches to keep birds safe as they come in to bathe. Thanks Frances! 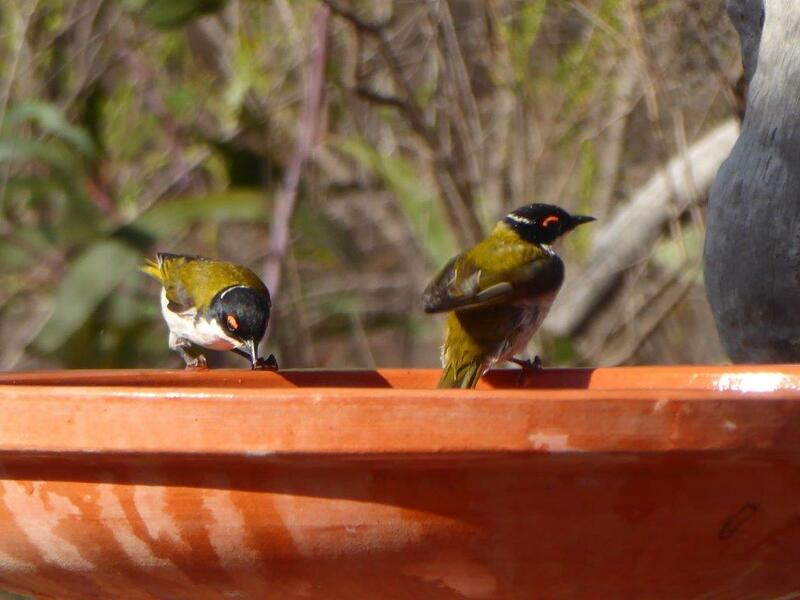 Fuscous Honeyeaters hanging out poolside. Drying off after a splash! 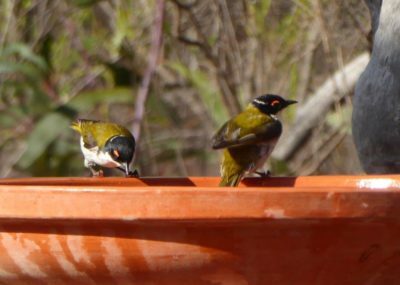 White-naped Honeyeaters move in. Thanks for the reminder for the hot weather.